The Nikon TC-14E III 1.4x AF-S Teleconverter mounts between your camera body and lens in order to give your lens more reach through magnification. 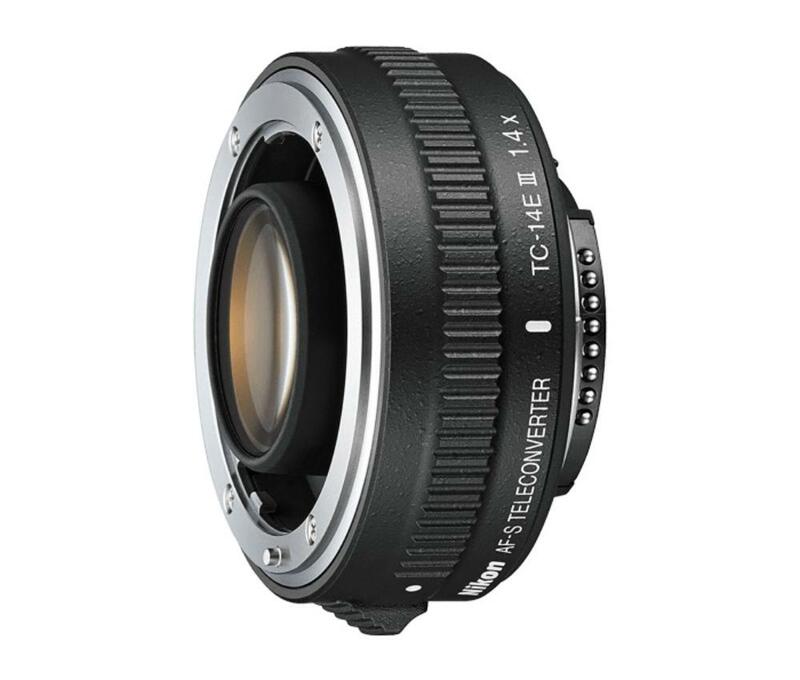 It increases the focal length by 40% on select compatible lenses (please see this guide for more on compatibility). It features a built-in microcomputer for seamless communication among camera body, lens and extender. Note that this extender reduces your maximum aperture by 1 stop. It is recommended that you attach the extender to your lens and then attach the pair to your camera body. The Nikon TC-14E III improves on its predecessor, the Nikon TC-14E II 1.4x, with enhanced optical design, metering functions, and AF performance. Extenders allow photographers to shoot from greater distances without having to resort to using larger and longer lenses. They are compatible with both full frame and crop frame sensor cameras and they are ideal for sports and wildlife.